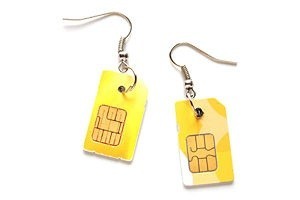 If you have SIM phone cards that you won’t use, then it is a good time to reuse them as an accessory of beauty. Today we will learn to do step by step earrings with SIM cards. It goes without saying that recycling your old SIM cards will not only help the environment but also those original earrings looks stunning. 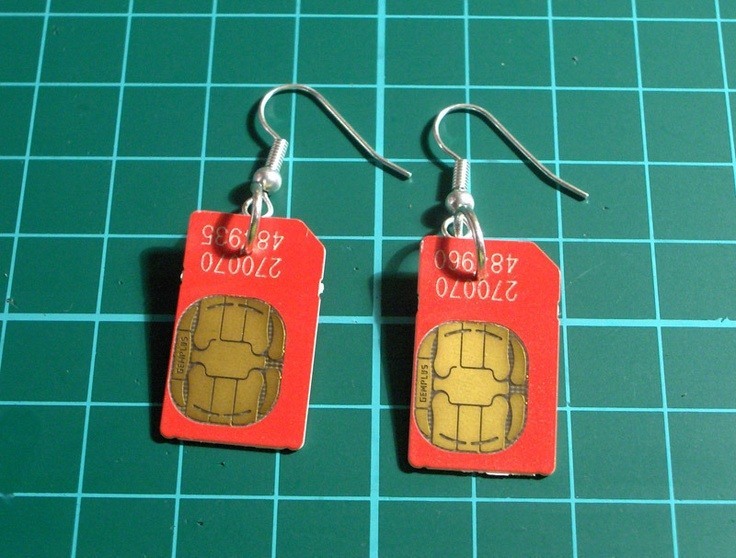 If you are interested just follow these simple steps to make earrings with SIM cards. that it is sufficiently wide to pass the crimp ring, this can do you by passing a PIN through the hole. You can also spread it with the tip of a ballpoint pen or a narrow pointed object. Step 2: Open the crimp ring using a pair of pliers. It is best to rotate the side crimp ring since thus not only it opens more easily, but that it will also close more safely. Then, insert the SIM card into the crimp ring. Step 3: Then inserts an earring hook into the crimp ring and seal it well. Earrings are ready to use or give them as a gift. SIM cards are fairly easy to get. If you don’t have one, you can find promotions of free SIM cards that many phone companies make. SIM cards are quite easy to get hold of in this website. If you do not have any lying around, Please find below best free SIM card promotions from top UK phone companies. Last updated by James Sims at April 6, 2014 .